When neighbouring farmer Eamonn came to collect our spent grains yesterday he thrust a copy of this week’s Irish Country Living from the Farmer’s Journal into Rick’s hands. We were delighted to see the feature on the women brewing up a storm in Ireland. Of course our immediate reaction was “what about us!!!”. So, we’ve made a decision to actively inform the world about our assistant brewer, Rachel, who (wo)manhandles the whole operation with unparalleled skill and efficiency. She recently completed her concise course in brewing technology with the Siebel Institute in Chicago and now brandishes an impressive academic award to balance the knowledge and expertise she has accumulated through long hours on the brewery floor. While Rick is the name on everybody’s lips when it comes to Kinnegar, he readily acknowledges that the whole Kinnegar world would crumble without Rachel. 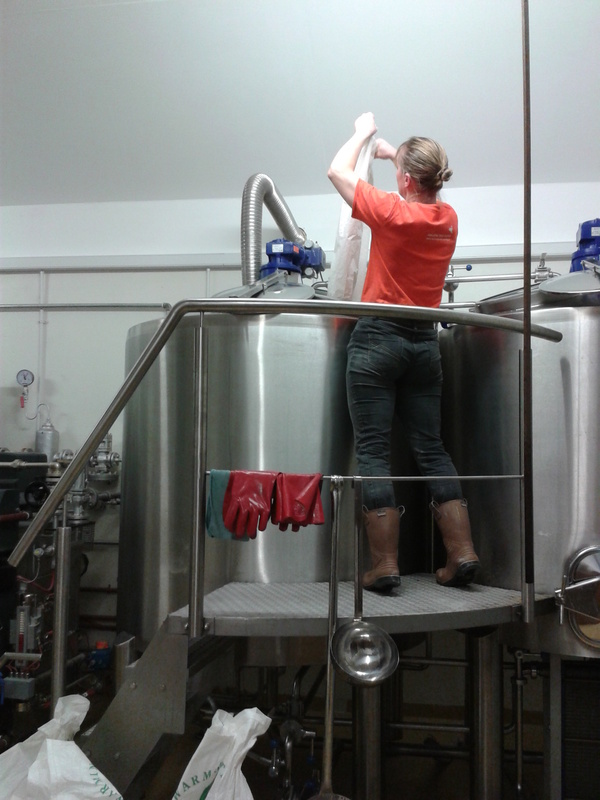 She is most probably responsible for brewing the next Kinnegar beer you’re going to enjoy. Come and meet her at Alltech when she’s getting a rare break from the brewery to meet her public. More about the other women in Kinnegar coming soon! This entry was posted on February 20, 2015 by kinnegarbrewing. It was filed under A brewery grows .